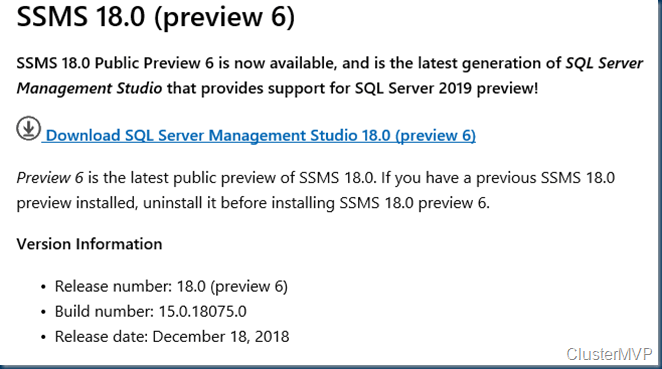 Now that Windows Server 2016 and System Center 2016 are GA this is for most a Go Live signal to use them in Production. 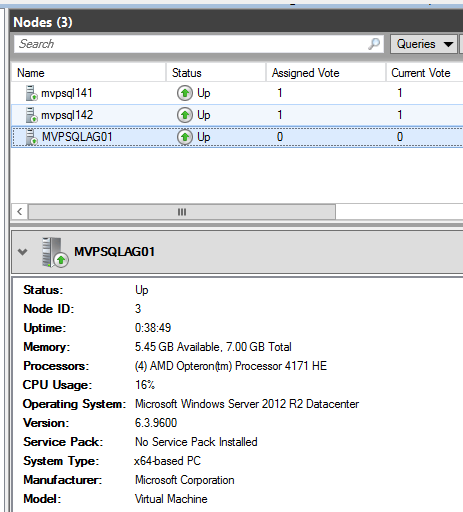 As I tested the 2016 product line for sometime now I must say it is Awesome. 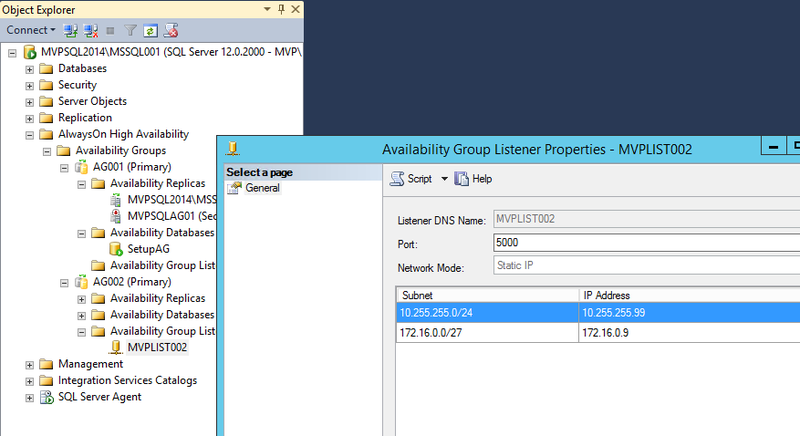 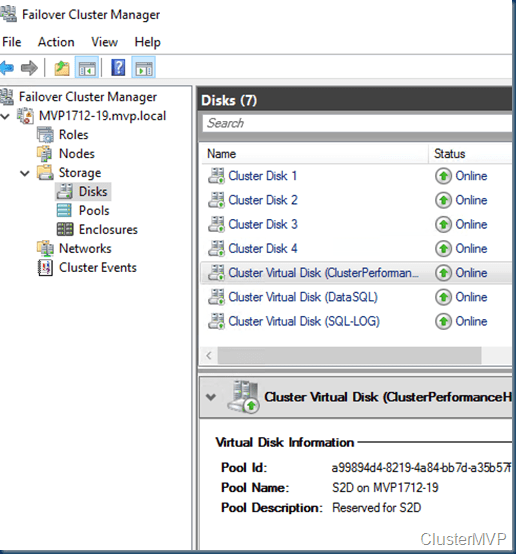 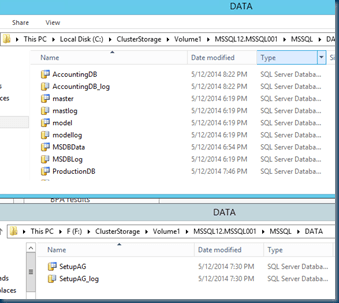 In this demo I use a two node Cluster and two named SQL instances. 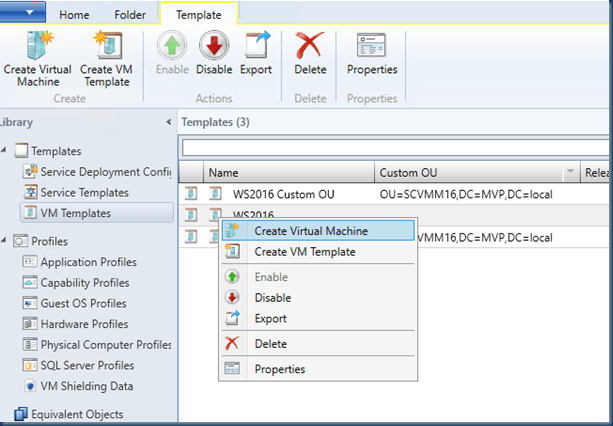 I use SCVMM 2016 and I did not create a one click deploy image. 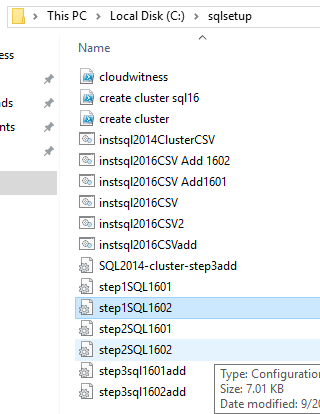 It is based on several steps that you can combine your self as needed. 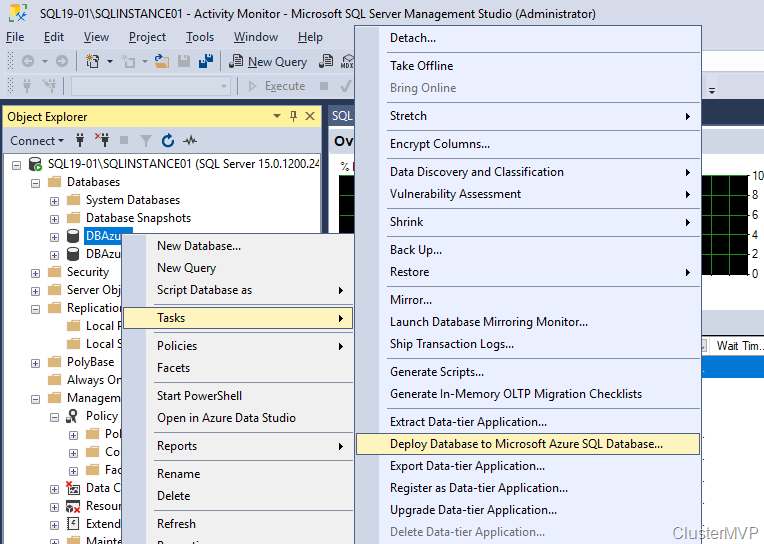 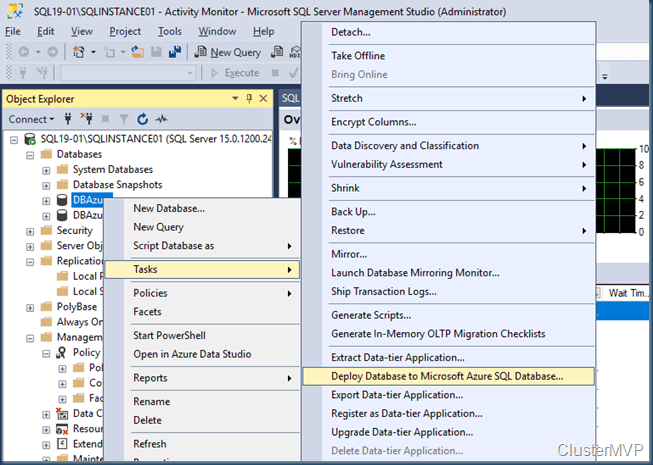 In the next blog post I will go in depth in more SQL features. 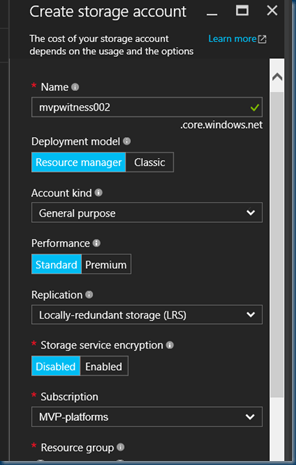 but first the deployment. 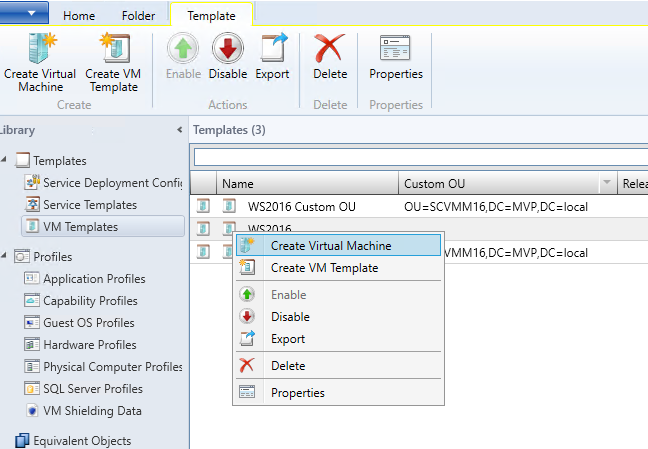 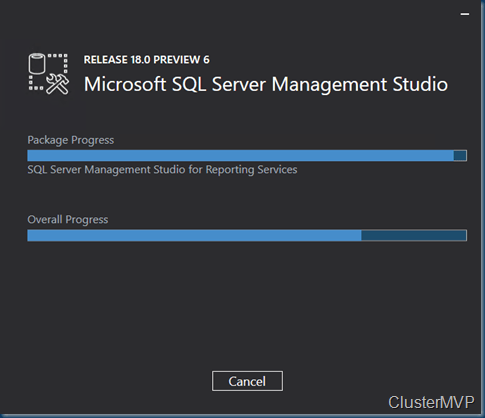 For the First Deployment I use SCVMM 2016 I use a VM template and not the build-in Cluster Features. 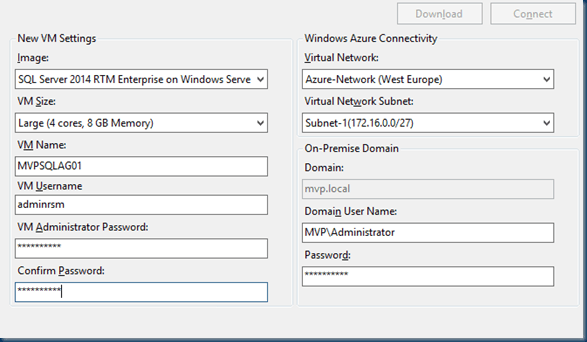 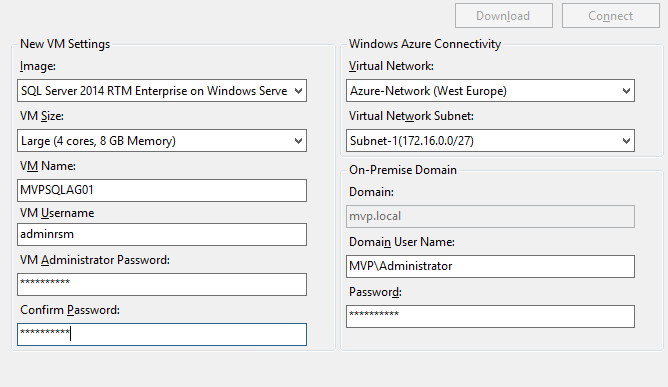 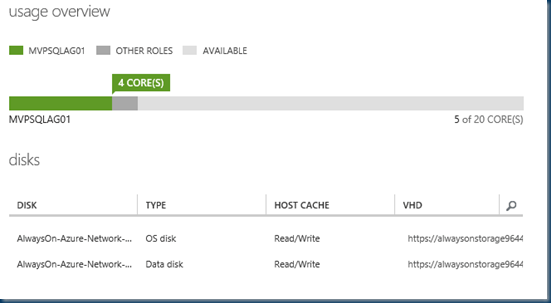 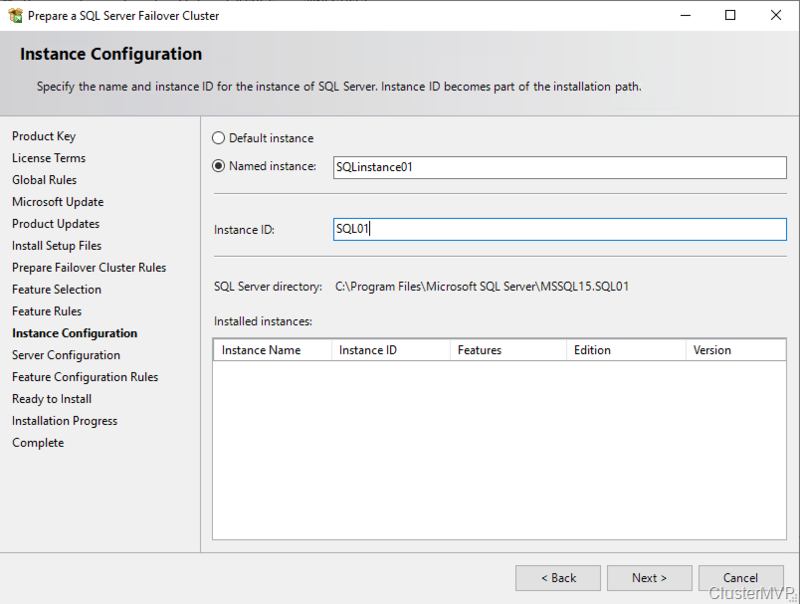 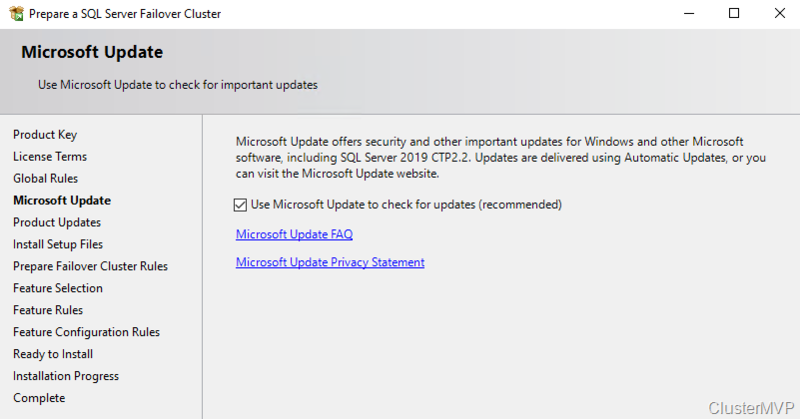 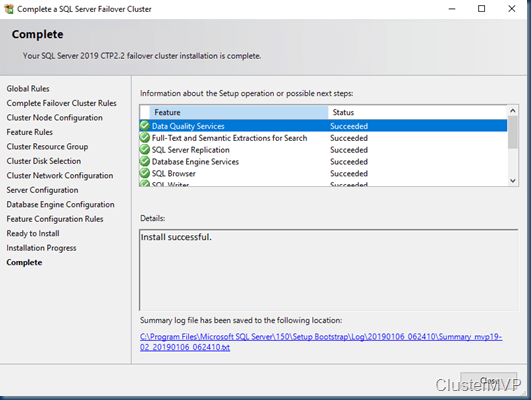 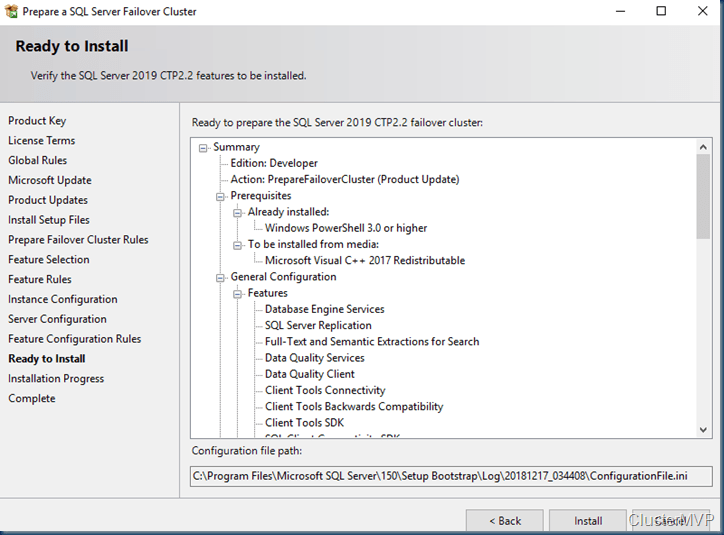 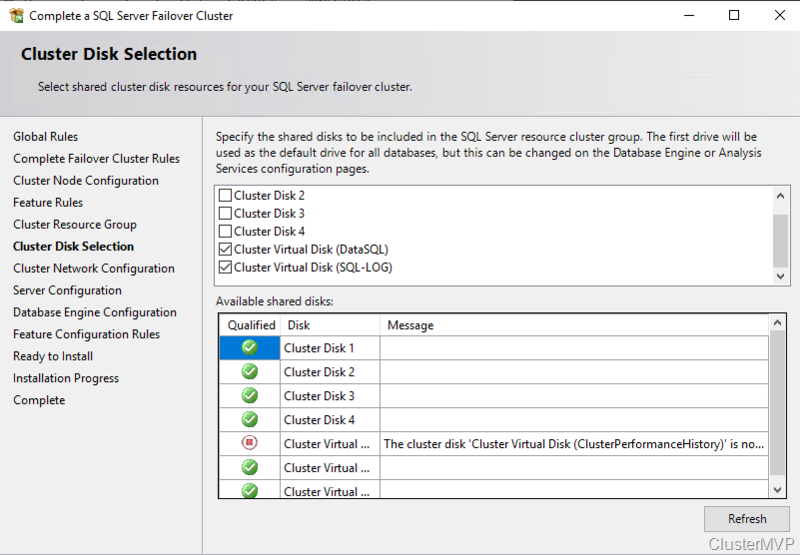 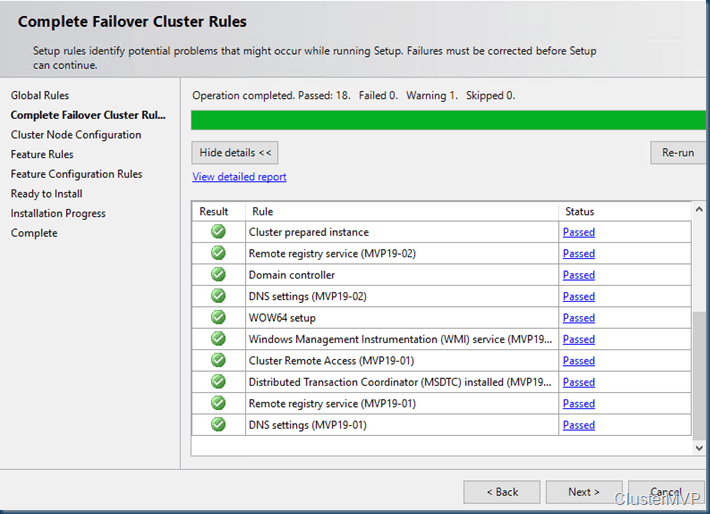 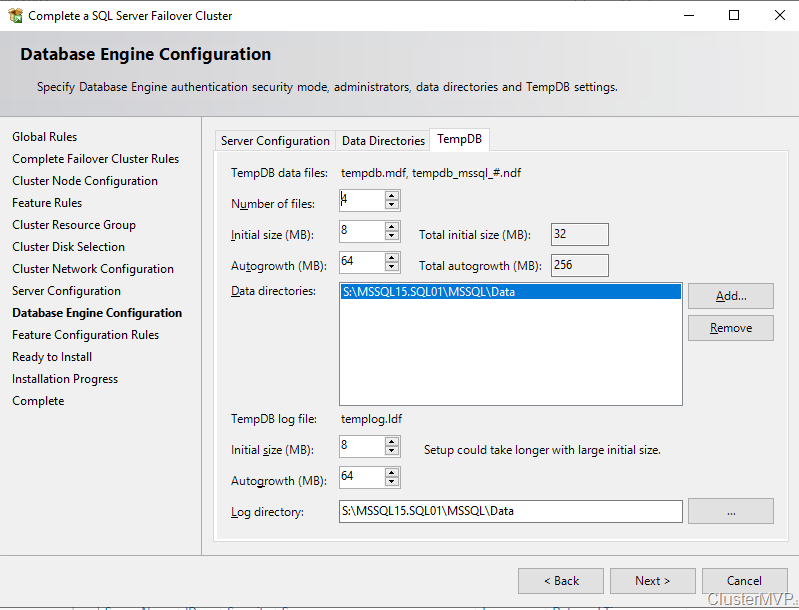 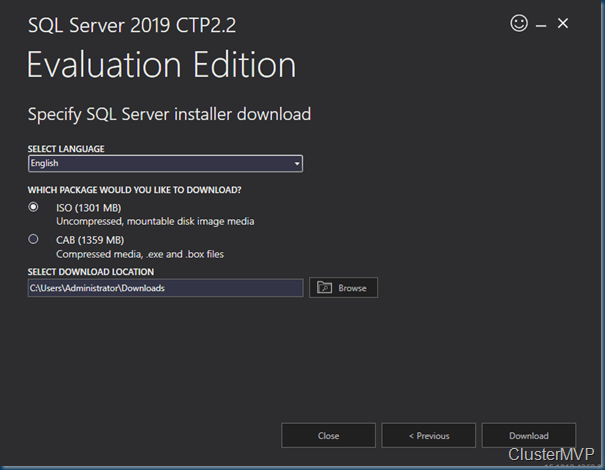 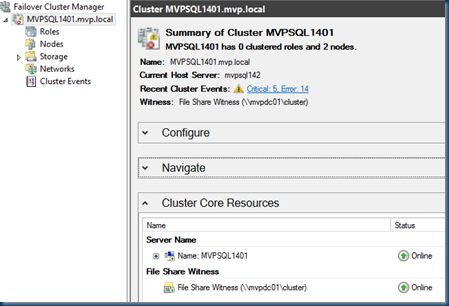 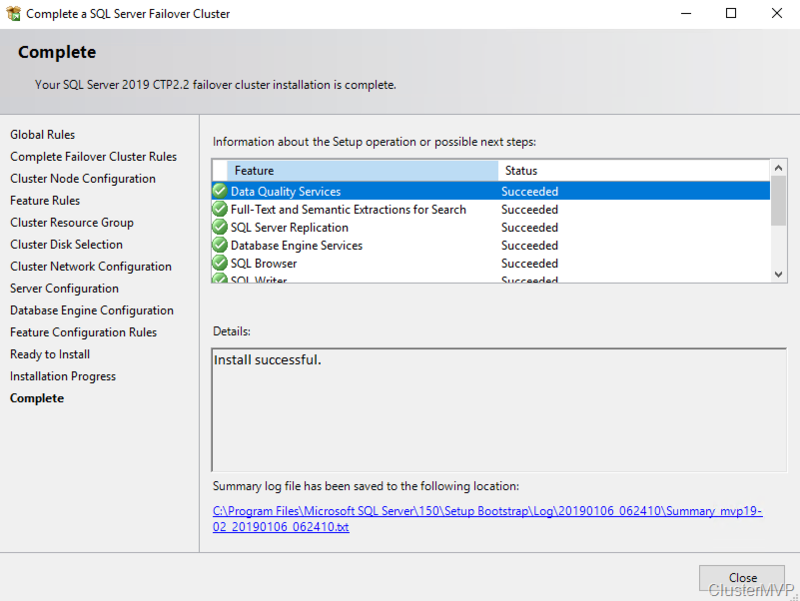 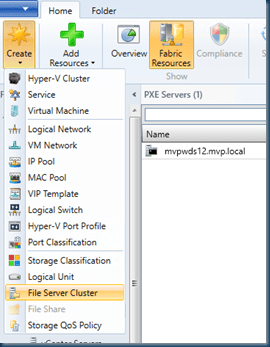 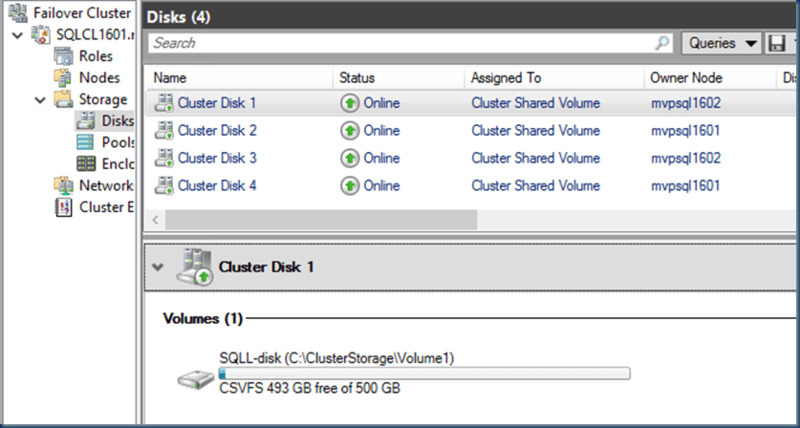 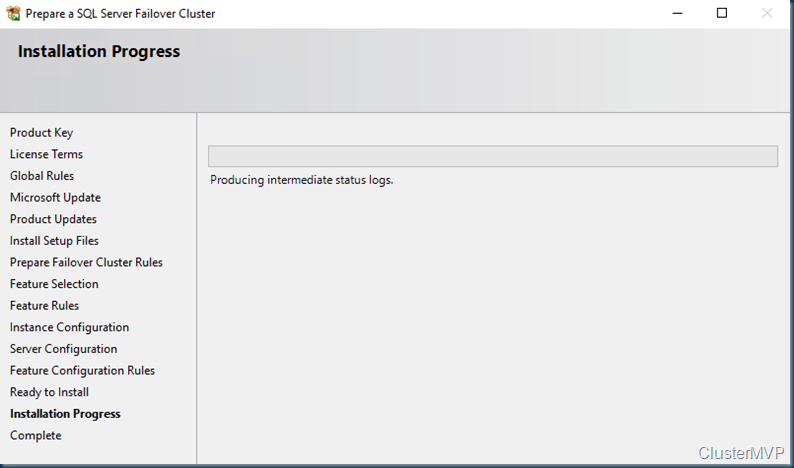 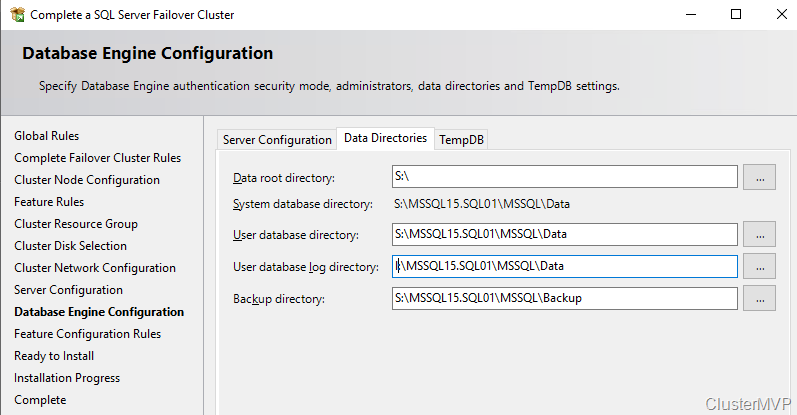 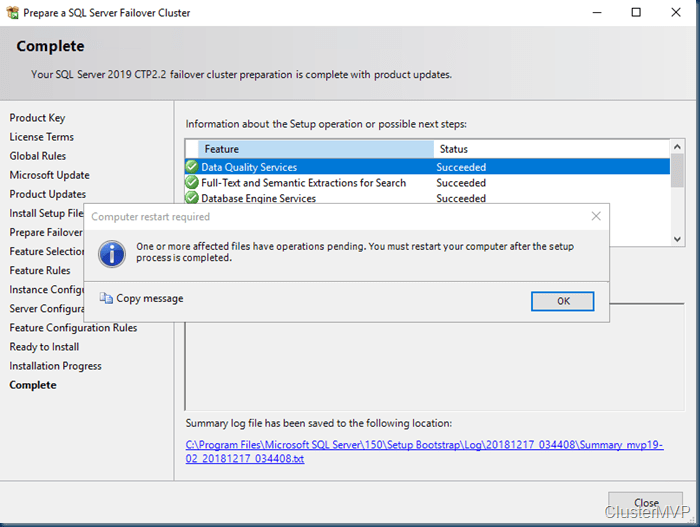 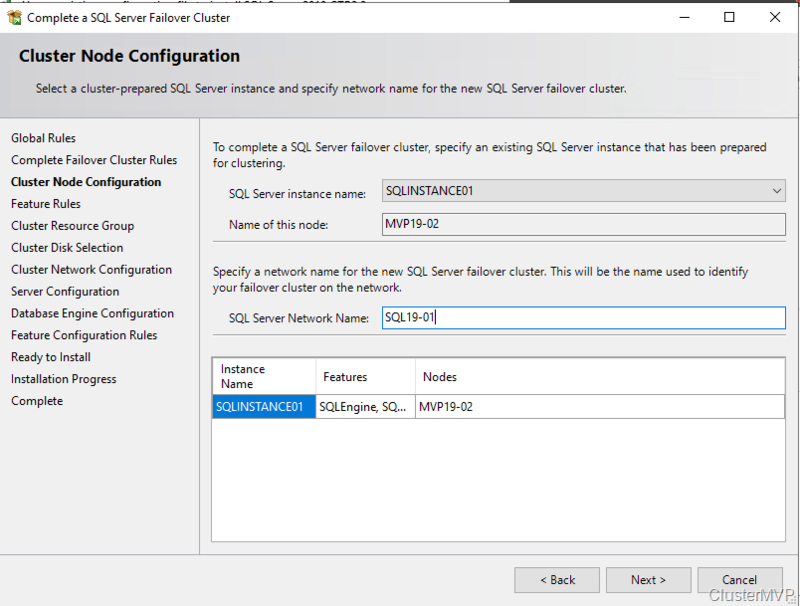 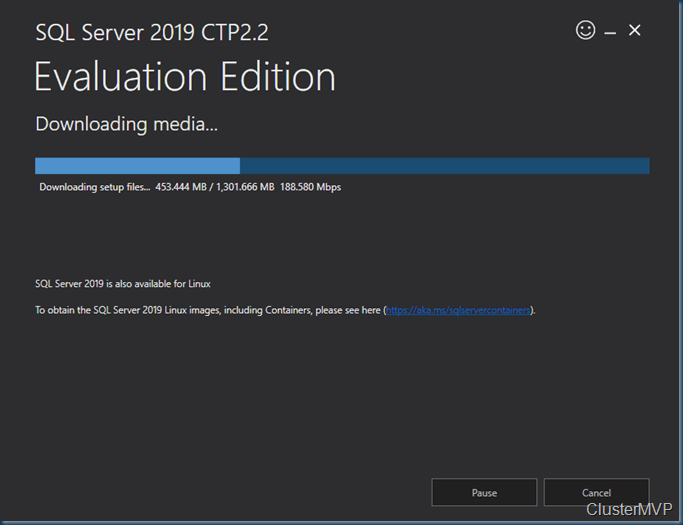 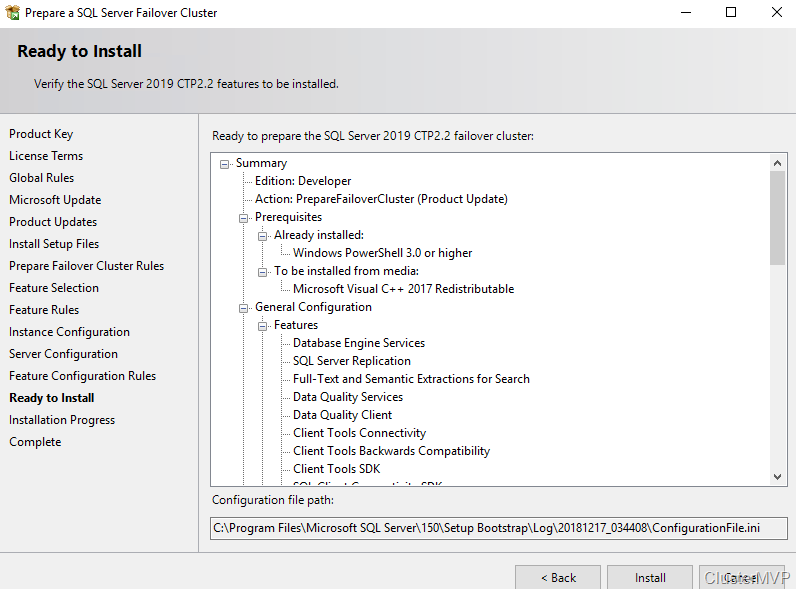 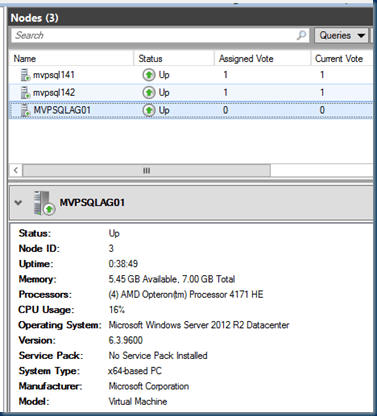 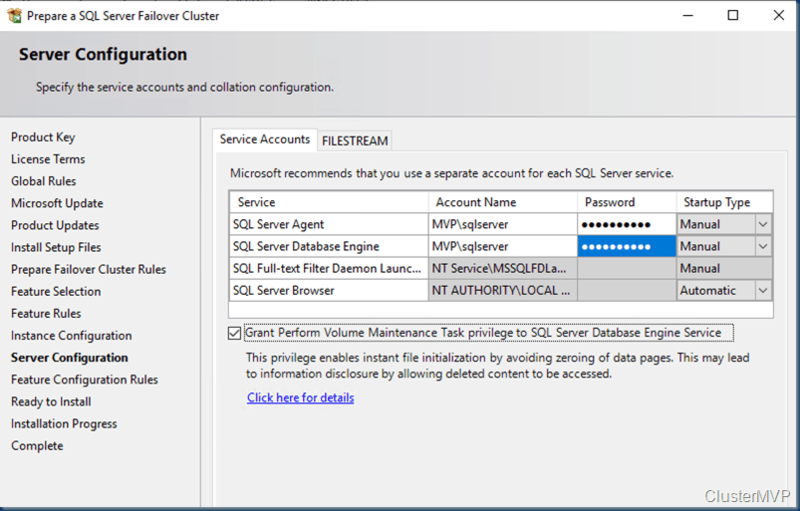 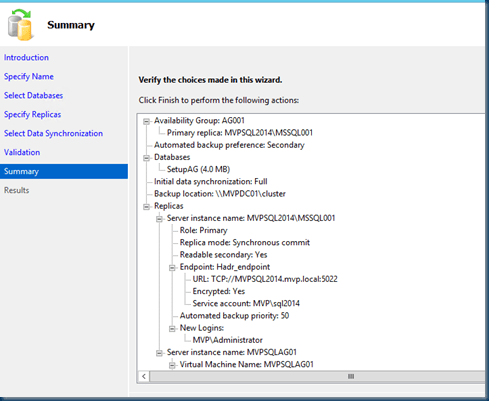 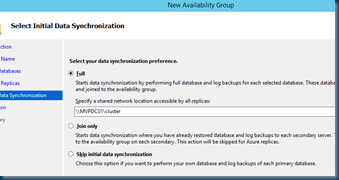 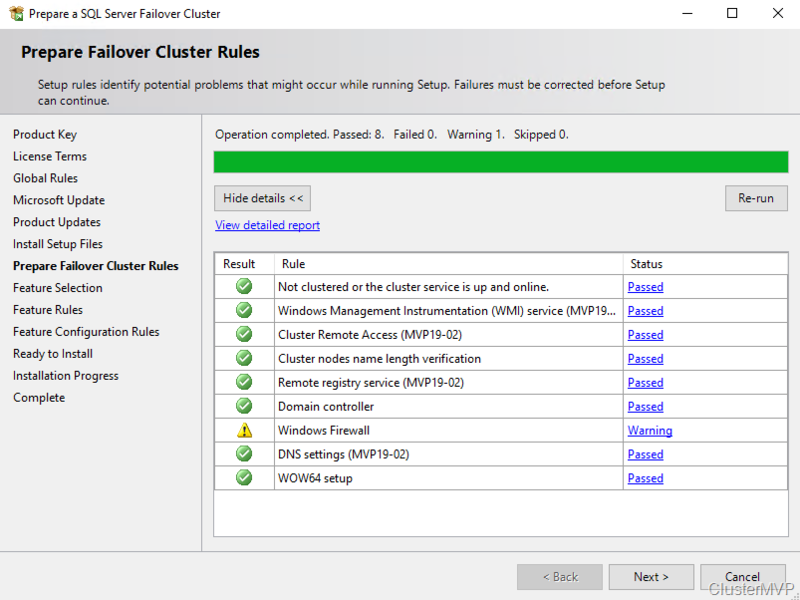 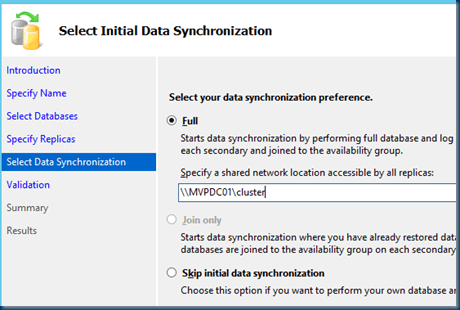 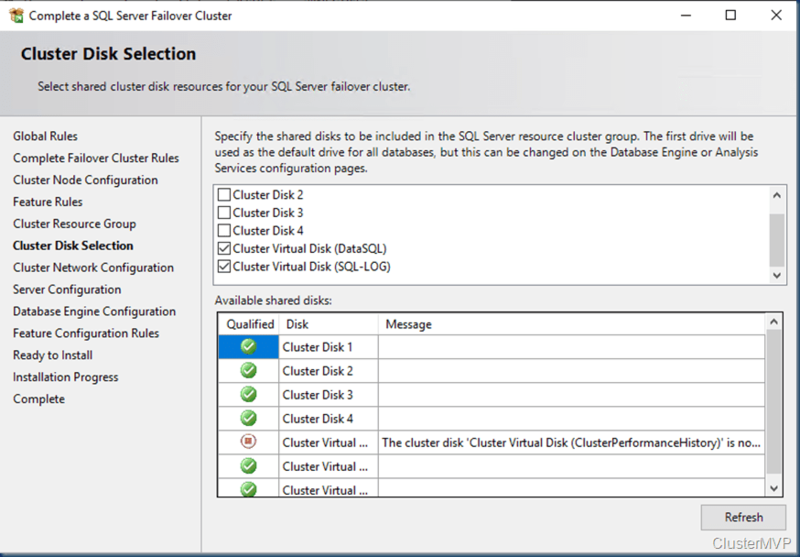 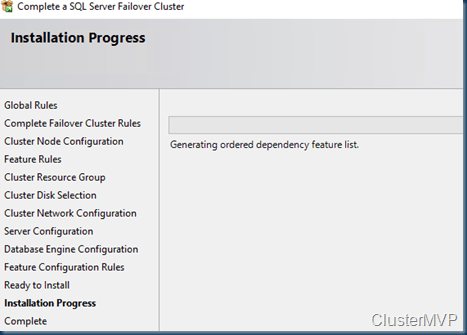 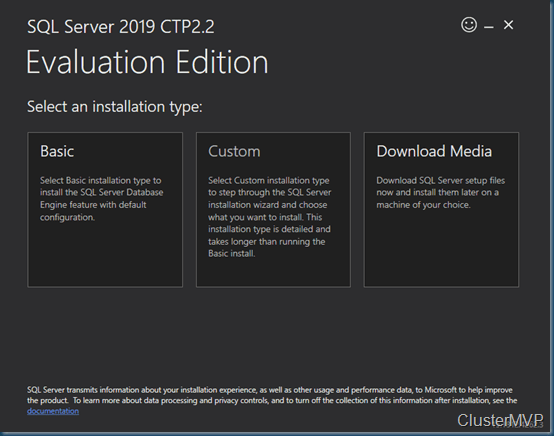 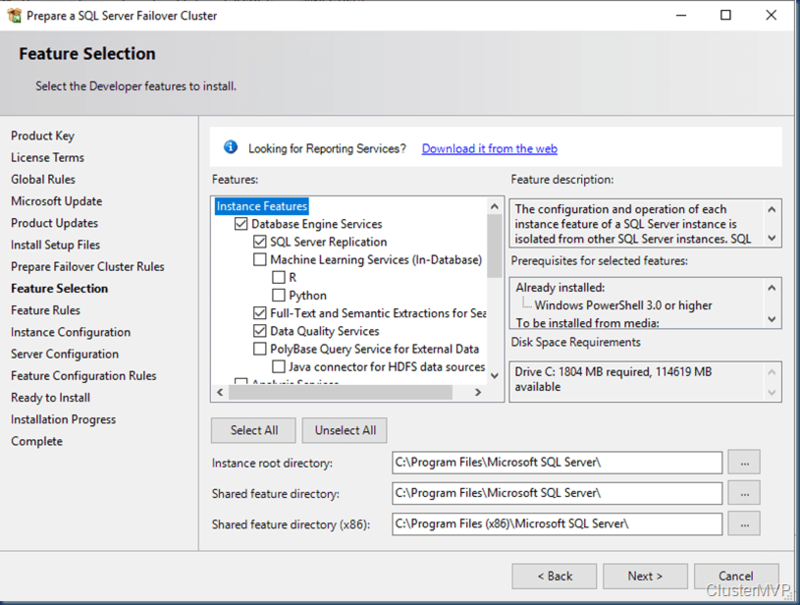 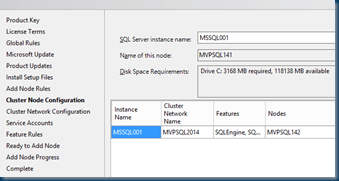 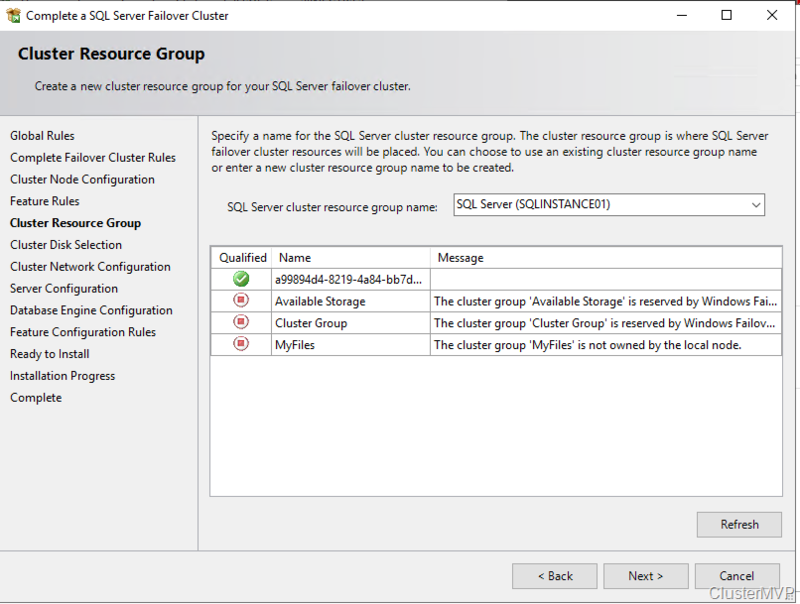 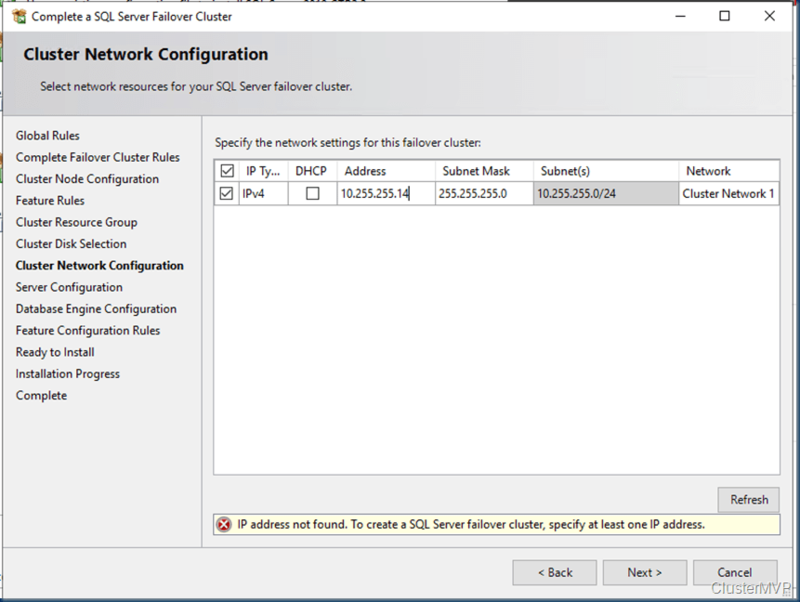 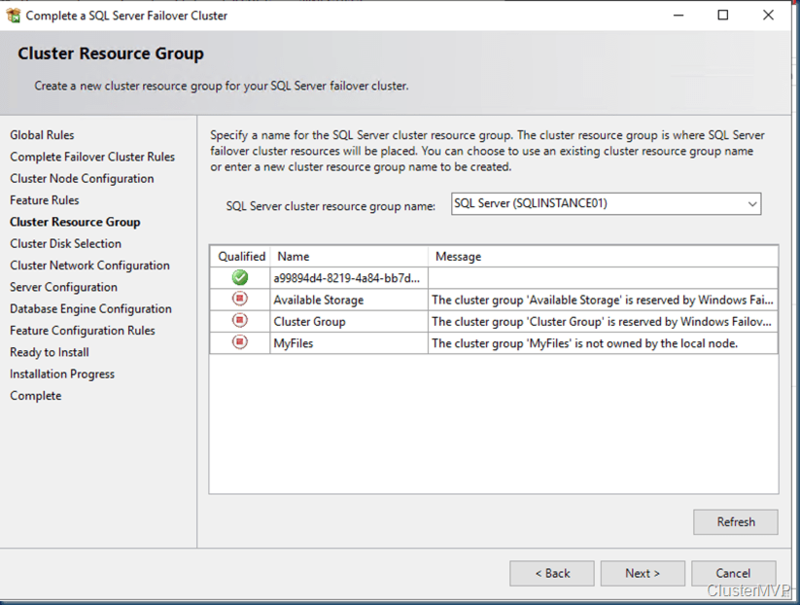 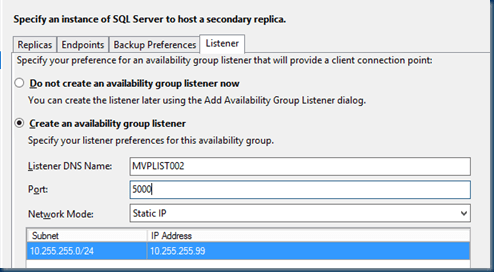 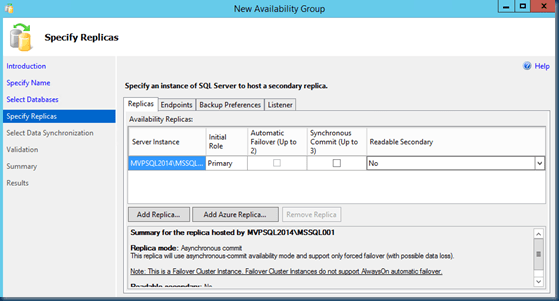 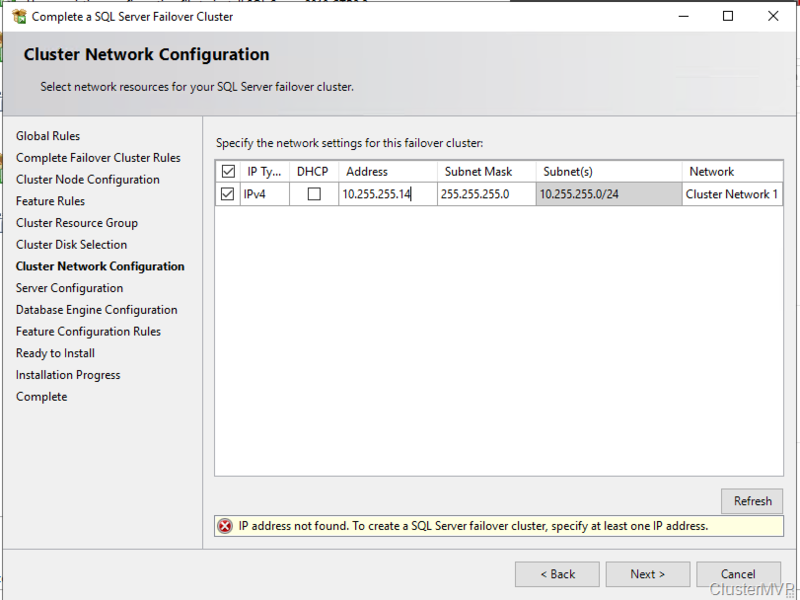 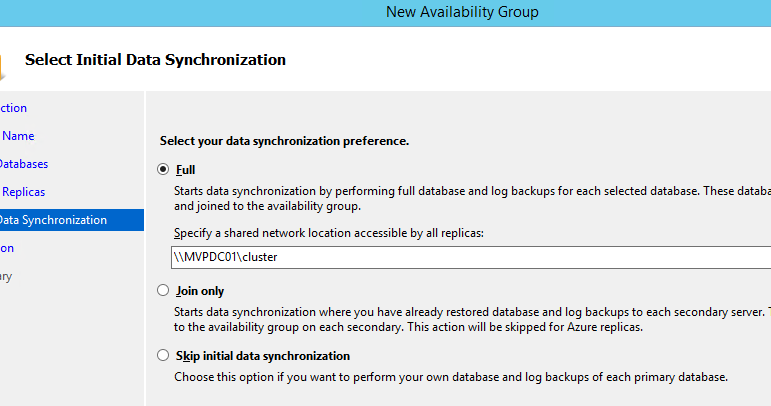 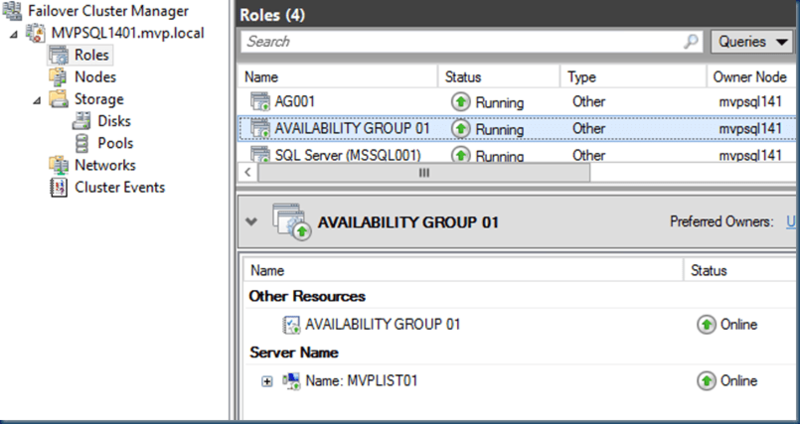 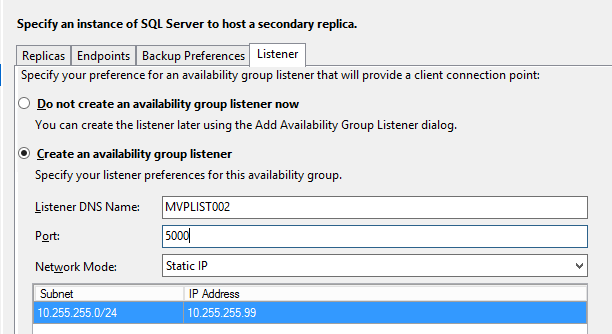 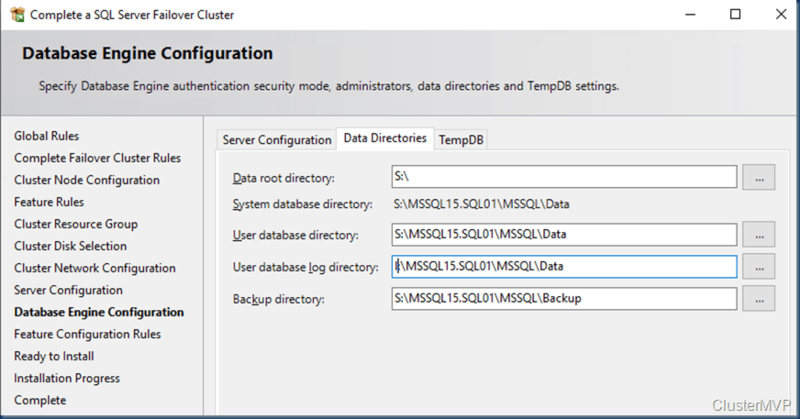 Other options for VM deployment would be the build-in Cluster deployment but this will add the file server or Hyper-v this is not needed for a SQL cluster. 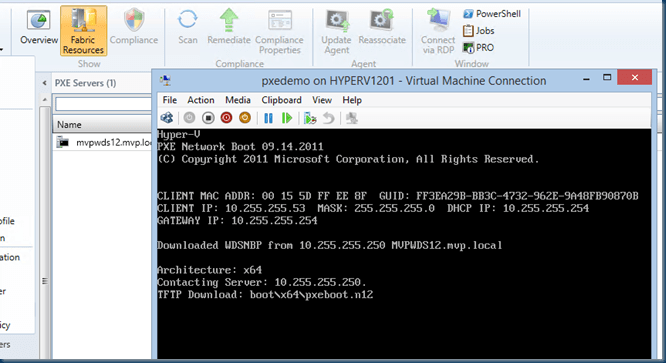 Or use a WDS PXE server to deploy fresh installed VM’s. As you can see in the right top there is a script option I’ll use this to deploy the other node. 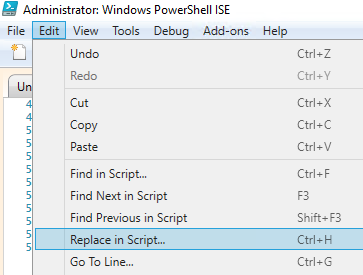 there are two things you need to change if you want to use the script directly. 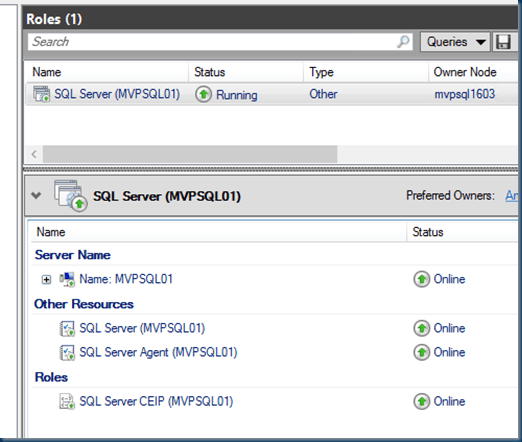 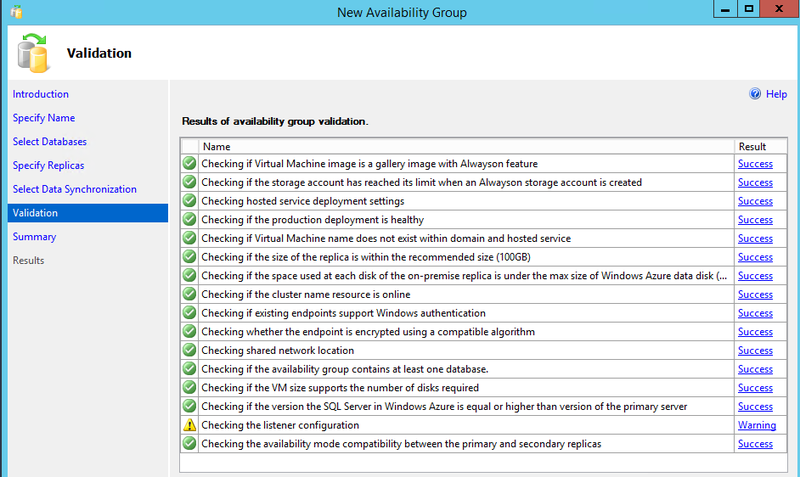 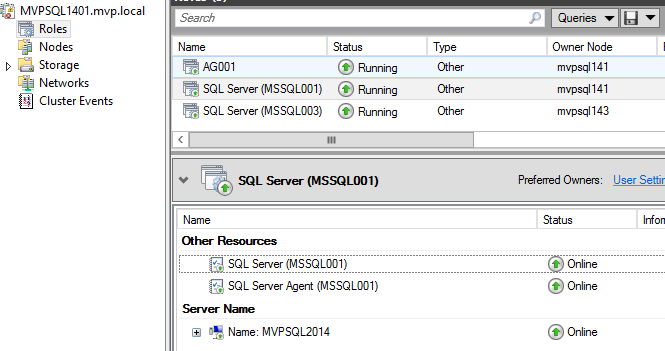 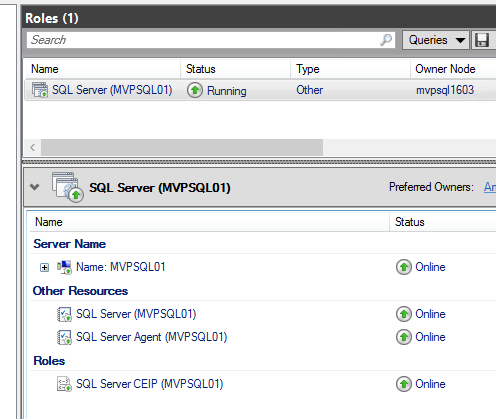 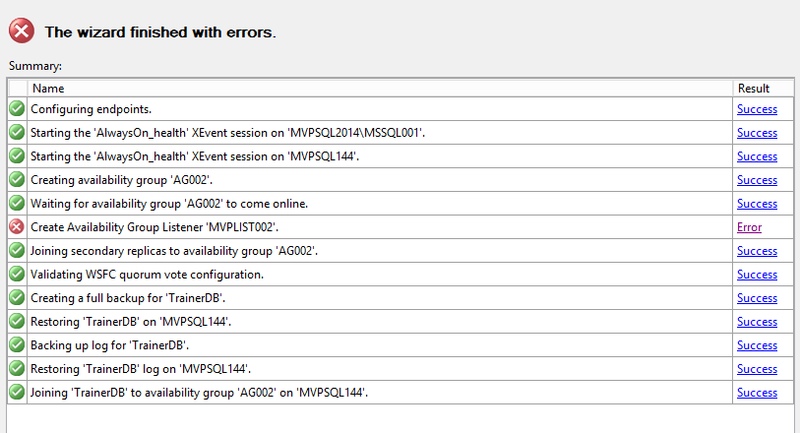 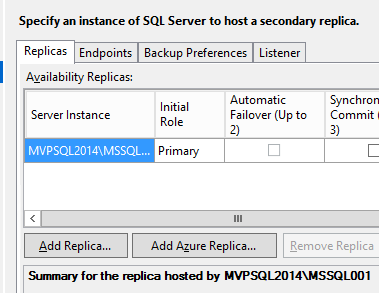 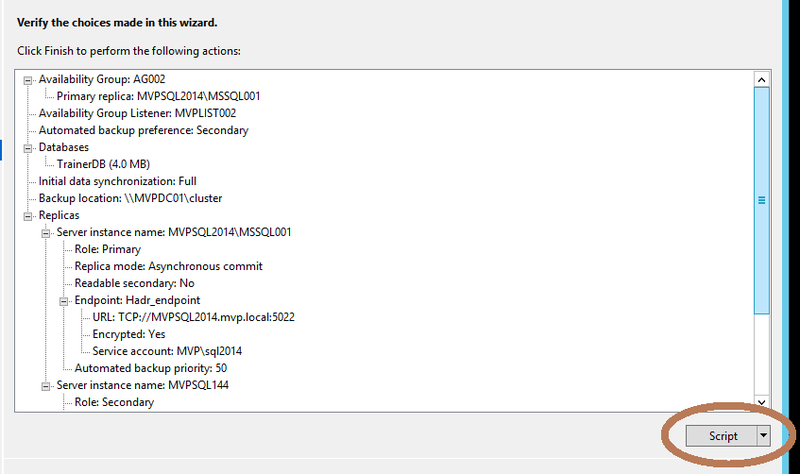 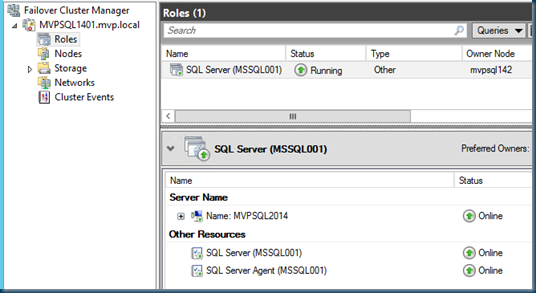 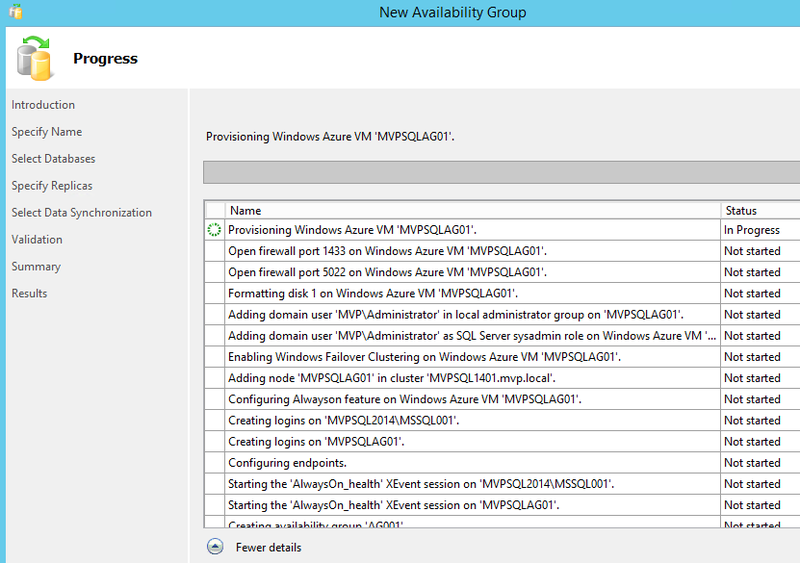 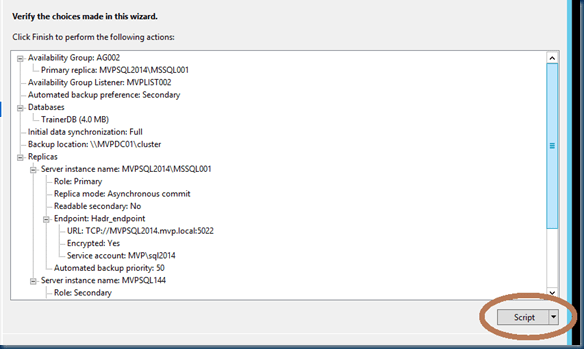 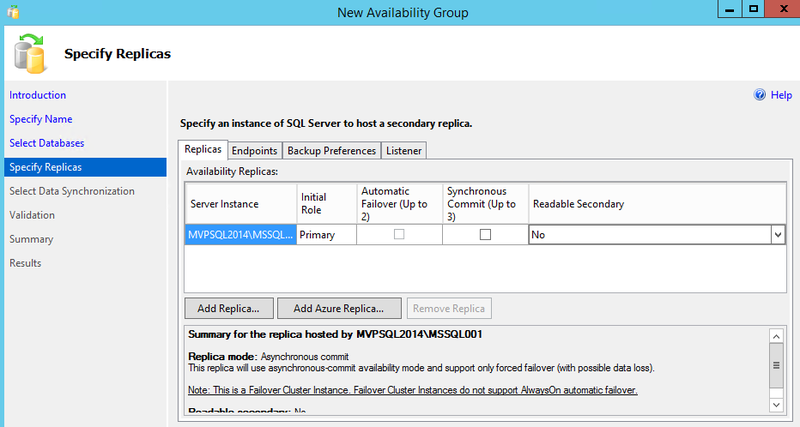 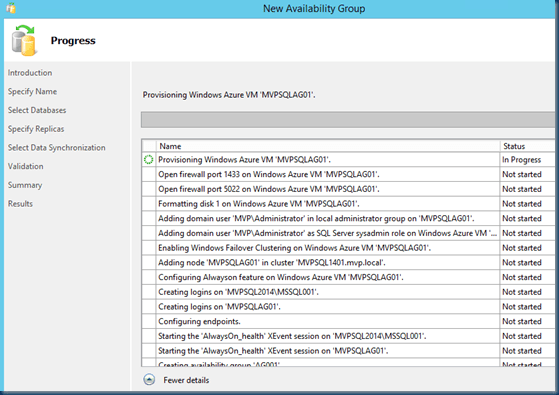 Now that both nodes are deployed We can check the prereqs for the SQL installation. 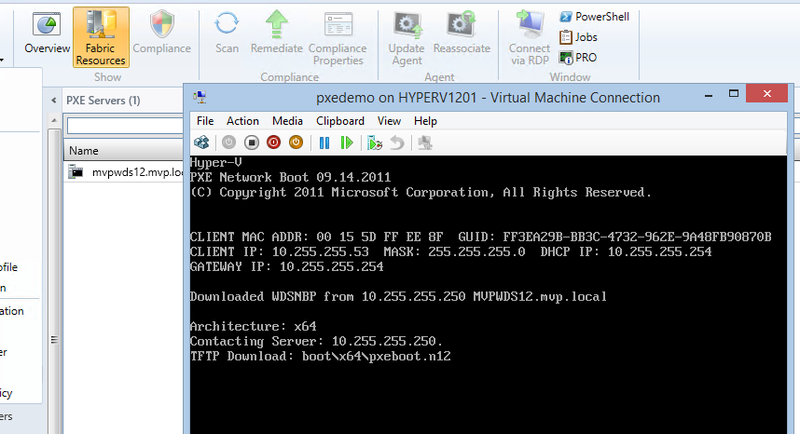 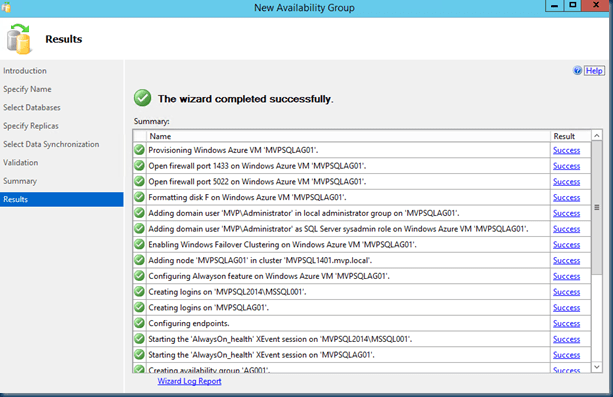 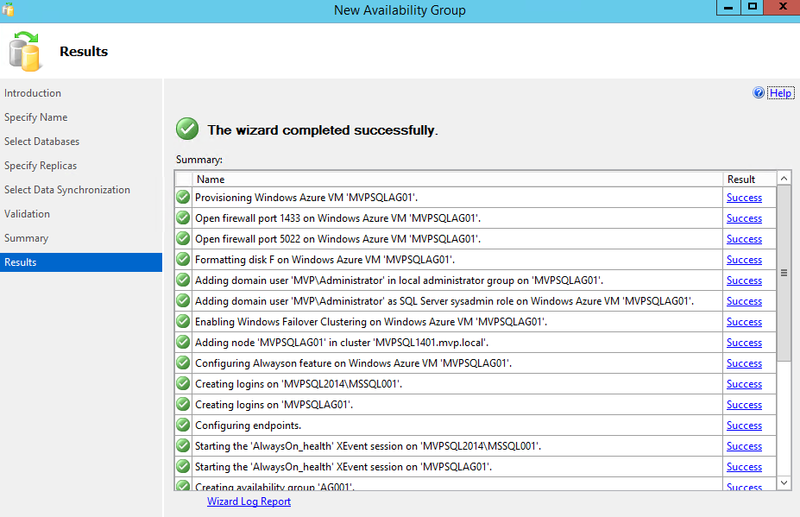 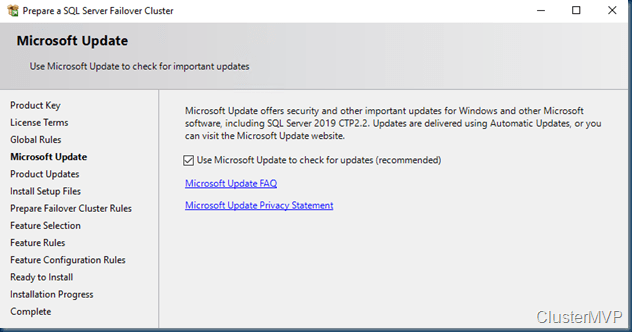 As I don’t use the sysprep method, I prefer a clean installation and this is more flexible and just as fast. 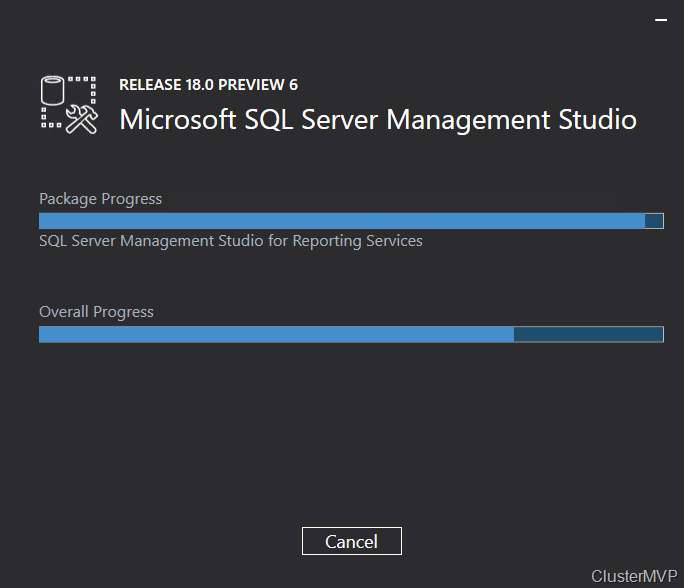 average 10 minutes install time. 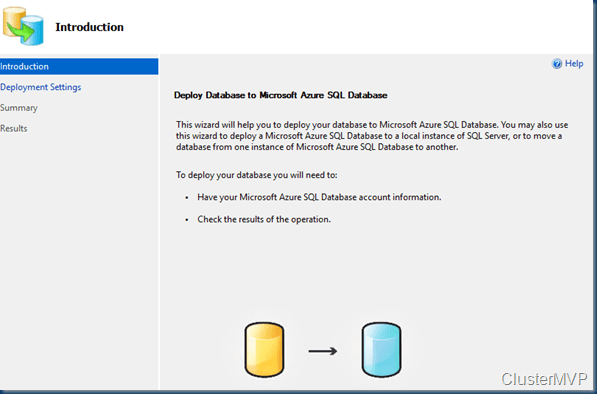 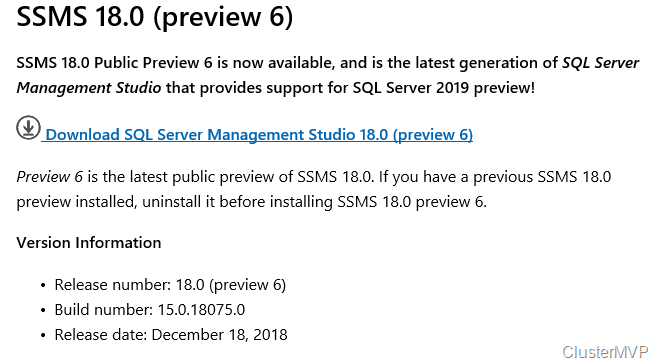 This seems a lot of work but after this your SQL installation was never so easy. 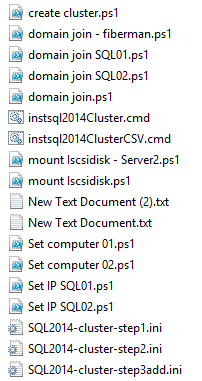 Now that we have the INI files all 3 I rename the files and give them the named instance. 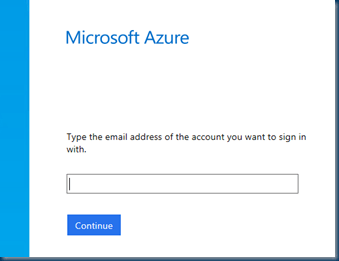 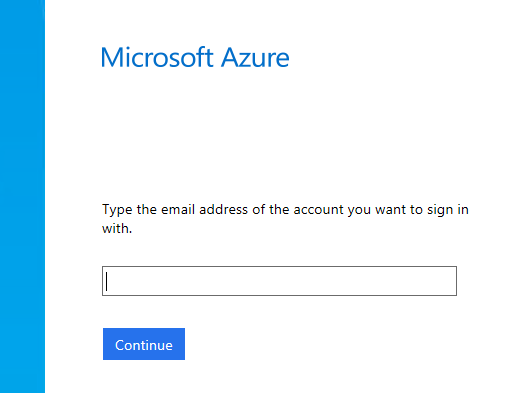 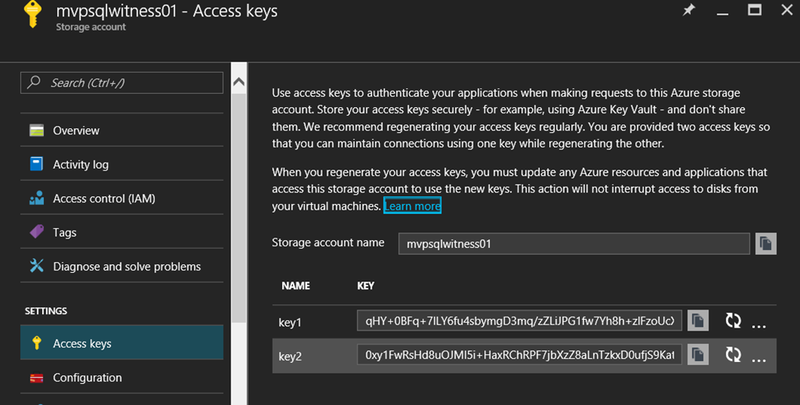 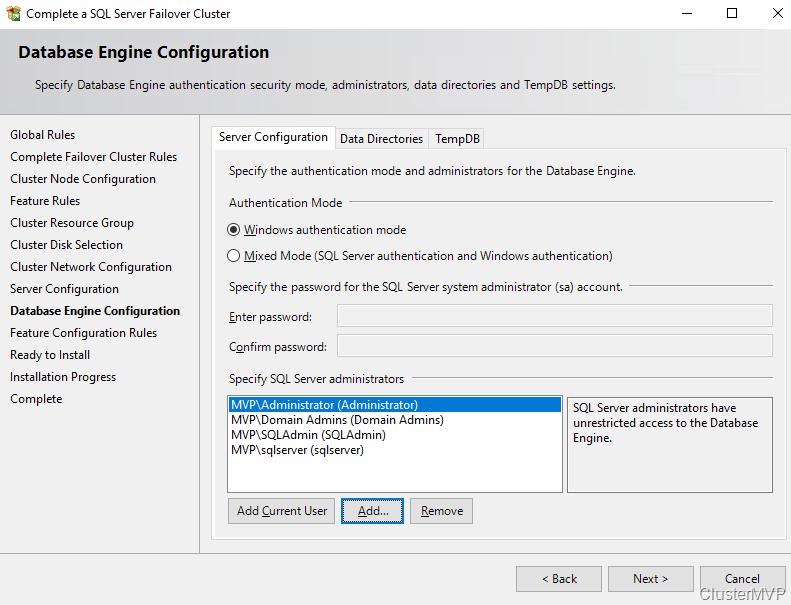 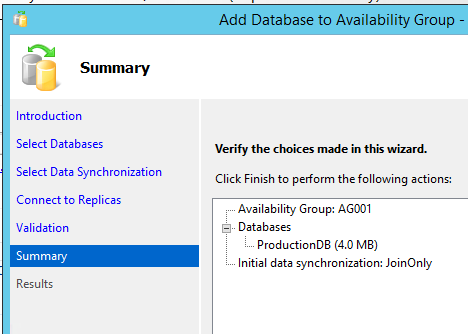 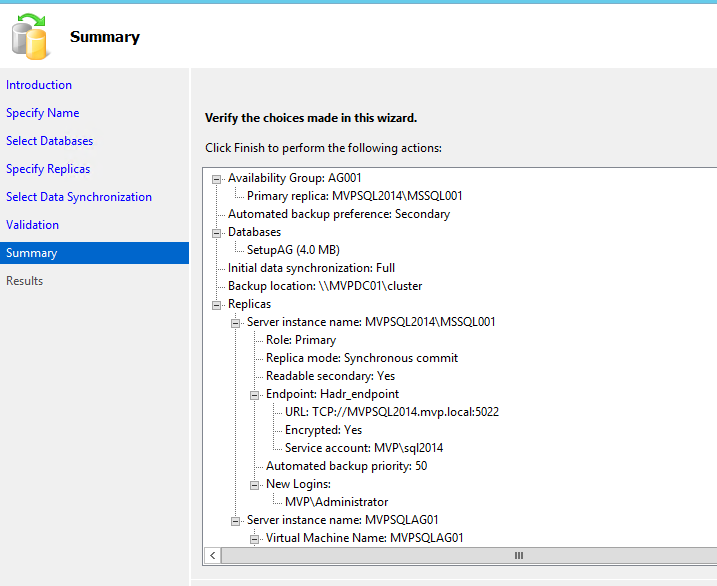 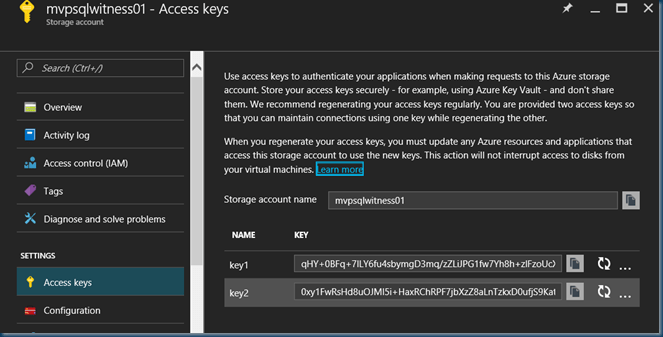 For deployment I use a Bogus Account but already added the real account to the security groups So I only need to change the SQL services account when the deployment is ready. 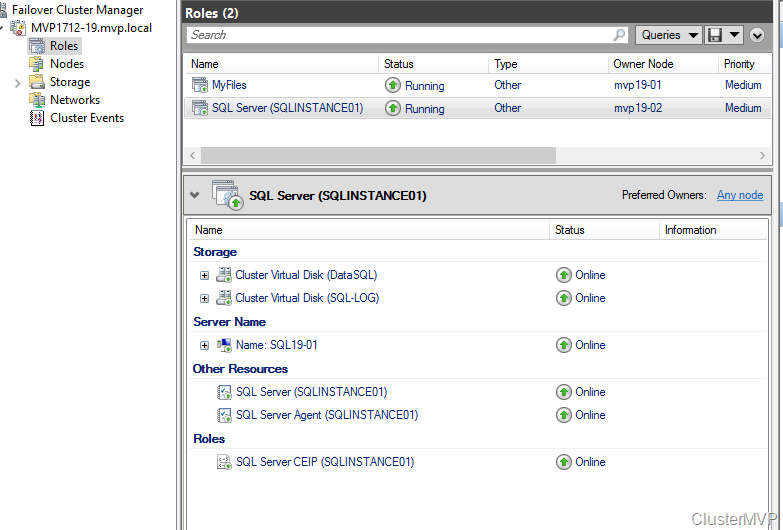 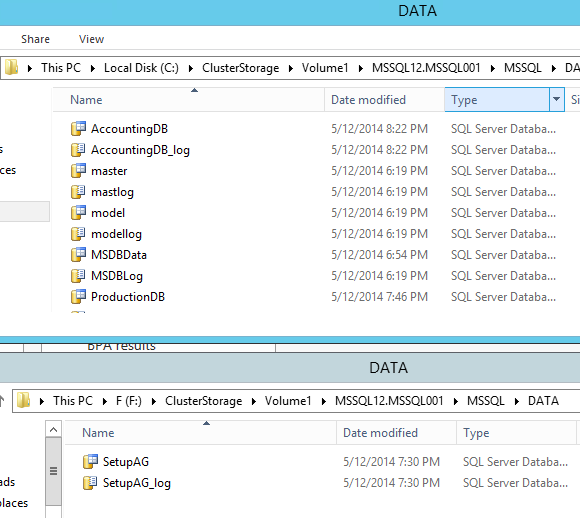 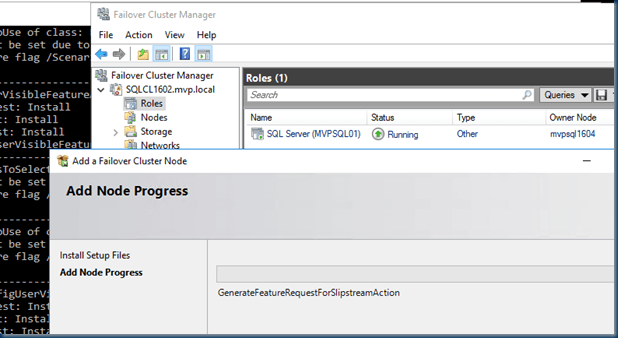 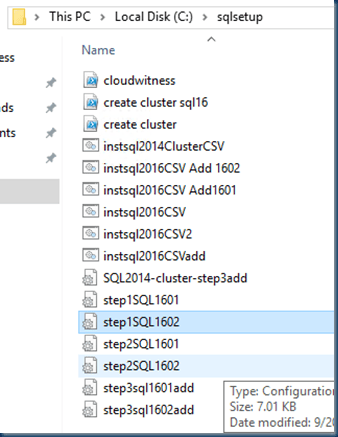 # three steps 1 & 2 and add node to the SQL cluster and this for two instances. 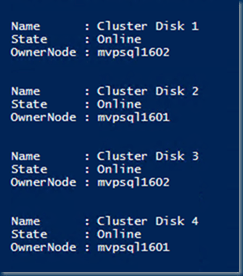 the Cluster Creation is real easy in just a few lines of powershell you can add disk , install the options ,test and create the cluster. 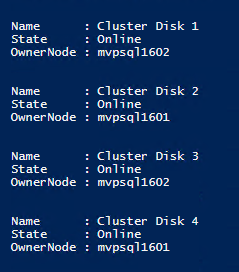 New-Cluster -Name SQLCL1601 -Node mvpsql1601.mvp.local,mvpsql1602.mvp.local -NoStorage -StaticAddress "10.255.255.41"
Get-Cluster |Add-ClusterSharedVolume -Name "Cluster Disk 1"
Get-Cluster |Add-ClusterSharedVolume -Name "Cluster Disk 2"
Get-Cluster |Add-ClusterSharedVolume -Name "Cluster Disk 3"
Get-Cluster |Add-ClusterSharedVolume -Name "Cluster Disk 4"
When creating this account keep in mind that you must use the Locally Redundant storage replication option. 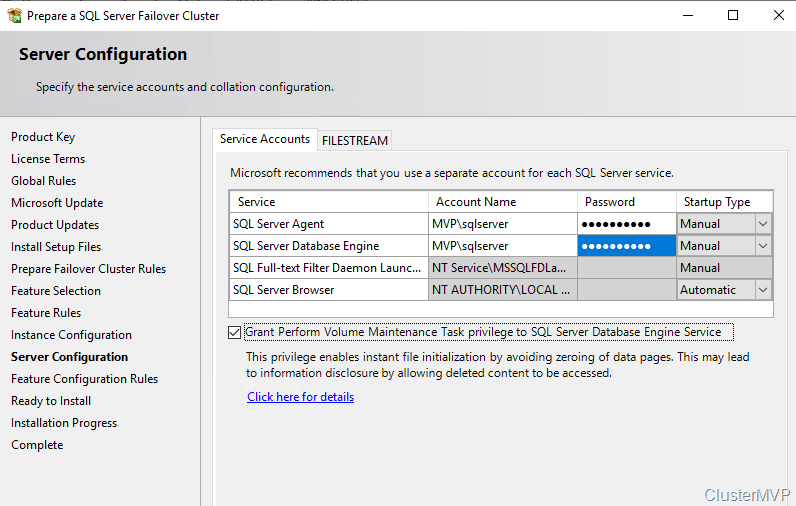 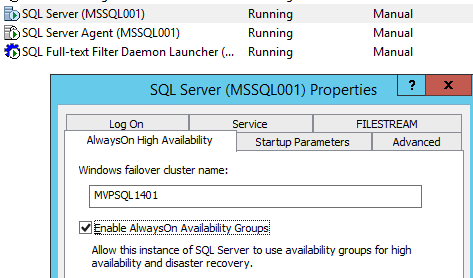 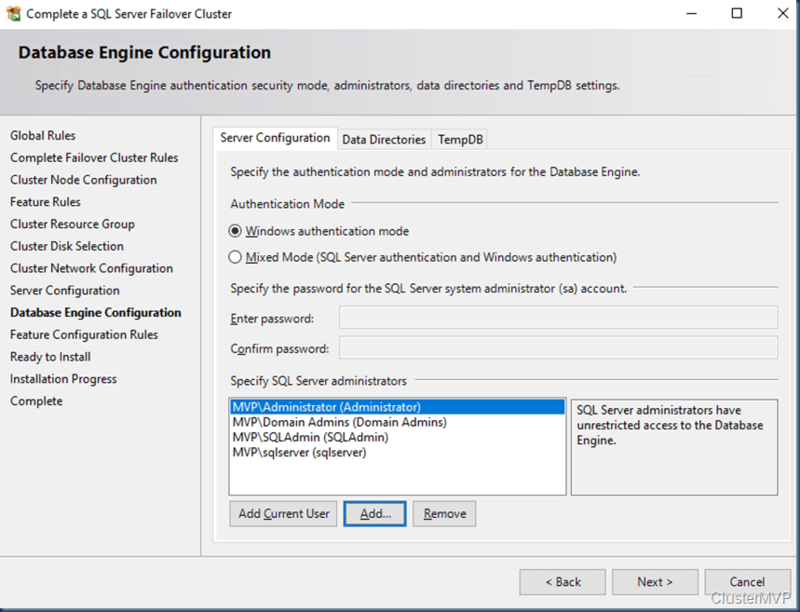 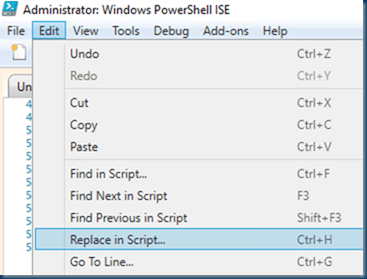 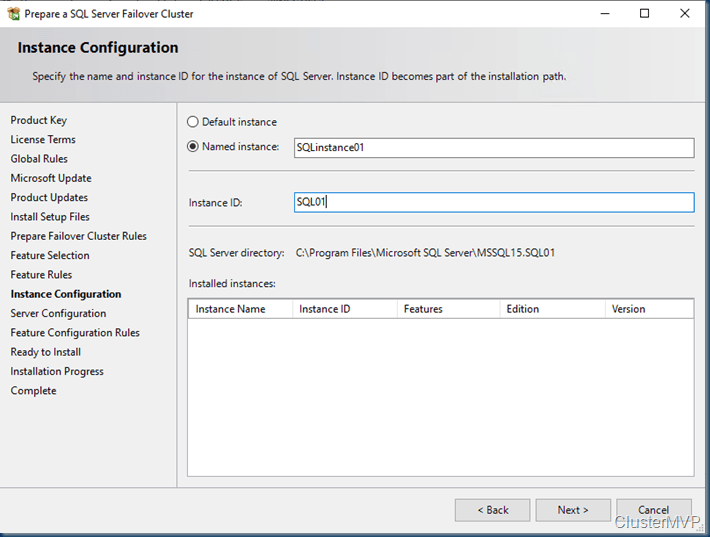 NOTE: When installing through the command prompt, SQL Server supports full quiet mode by using the /Q parameter, or Quiet Simple mode by using the /QS parameter. 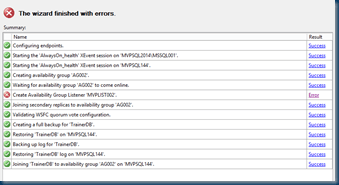 The /QS switch only shows progress, does not accept any input, and displays no error messages if encountered. 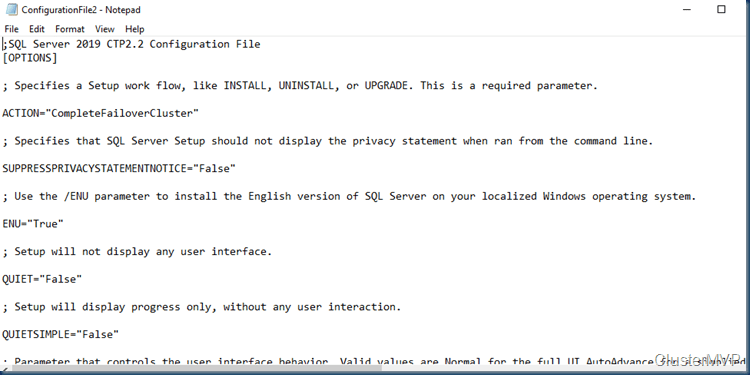 The /QS parameter is only supported when /Action=install is specified. 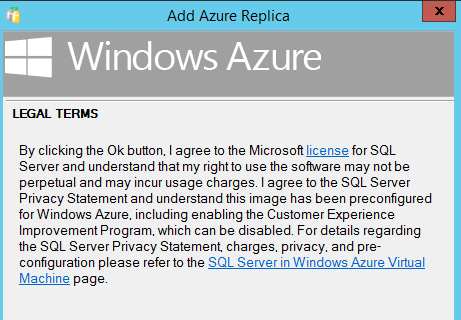 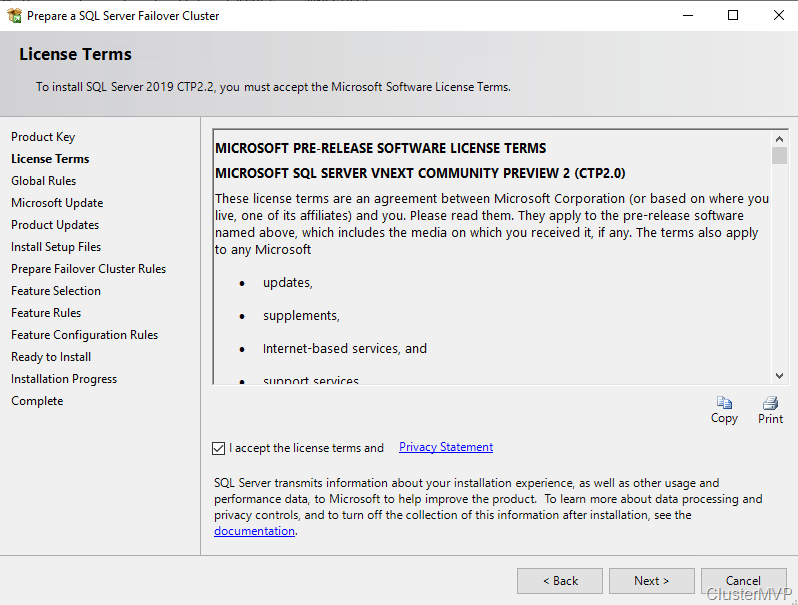 The license terms are displayed for review and acceptance in the Setup user interface. 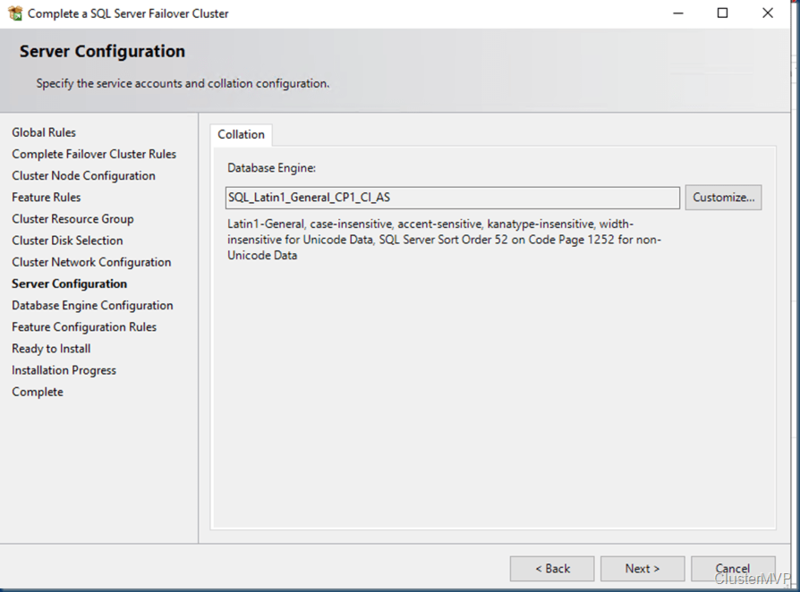 Unattended installations (using the /Q or /QS parameters) must include the /IACCEPTSQLSERVERLICENSETERMS parameter. 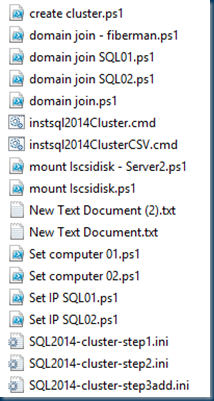 The /QS option does not work with the UIMODE="Normal" in the ini file so quote them out. 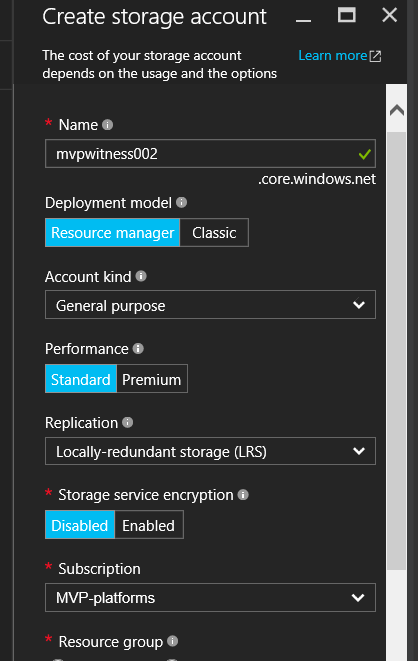 Adding the extra node again I use a installation service account that I later change in a final production account therefor I do not need to store the service account in my installation scripts. 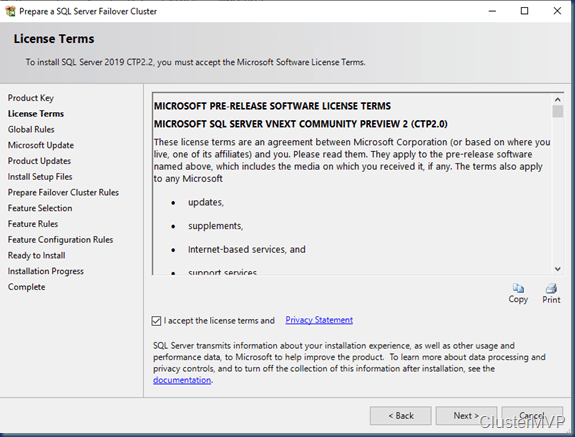 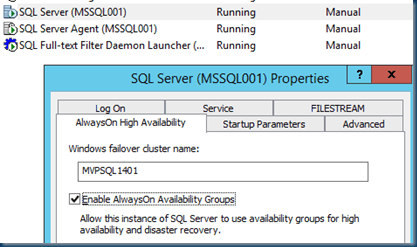 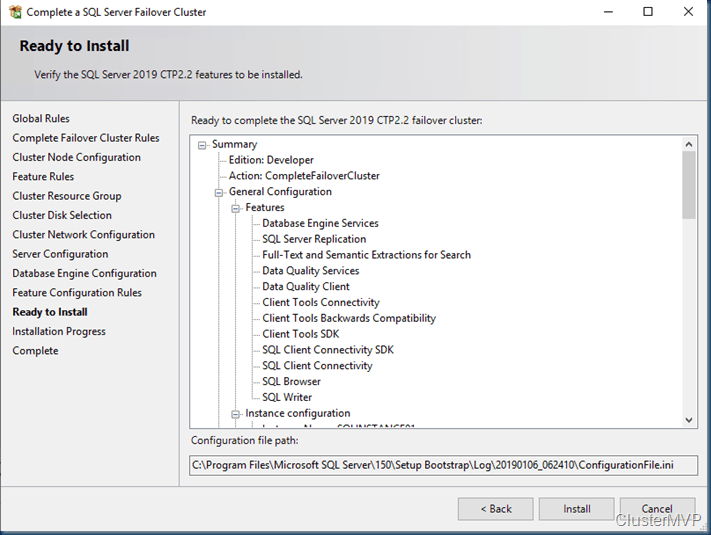 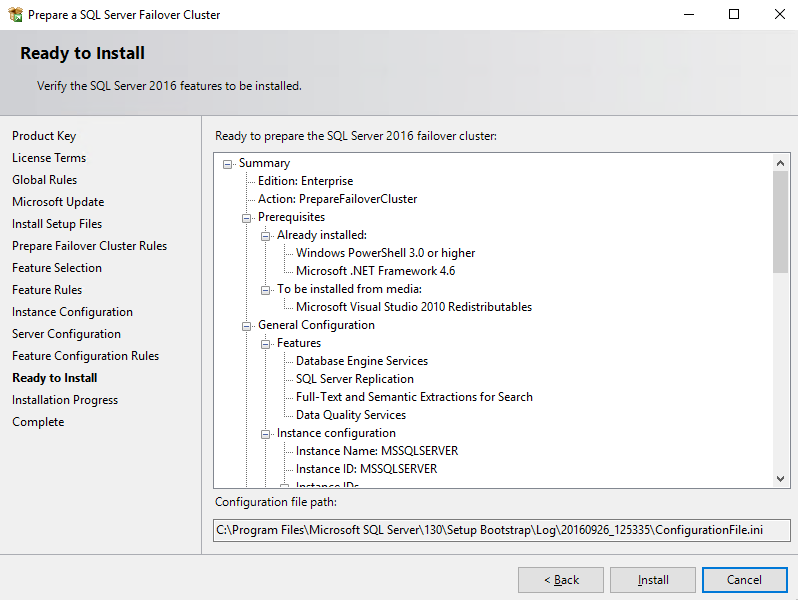 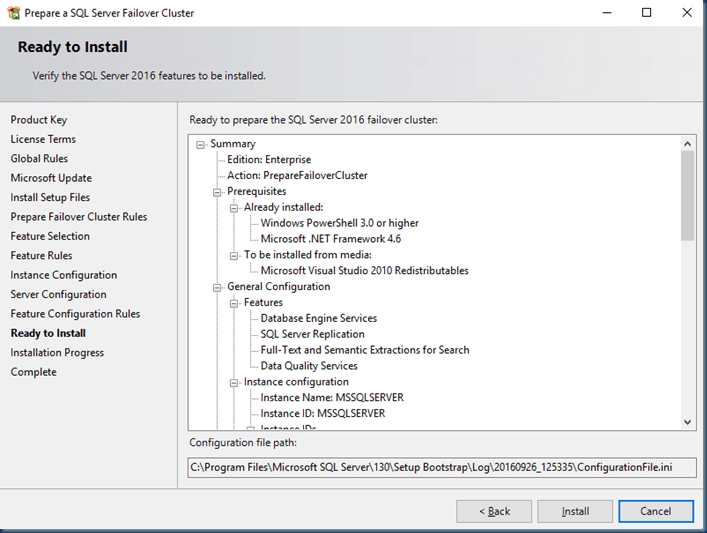 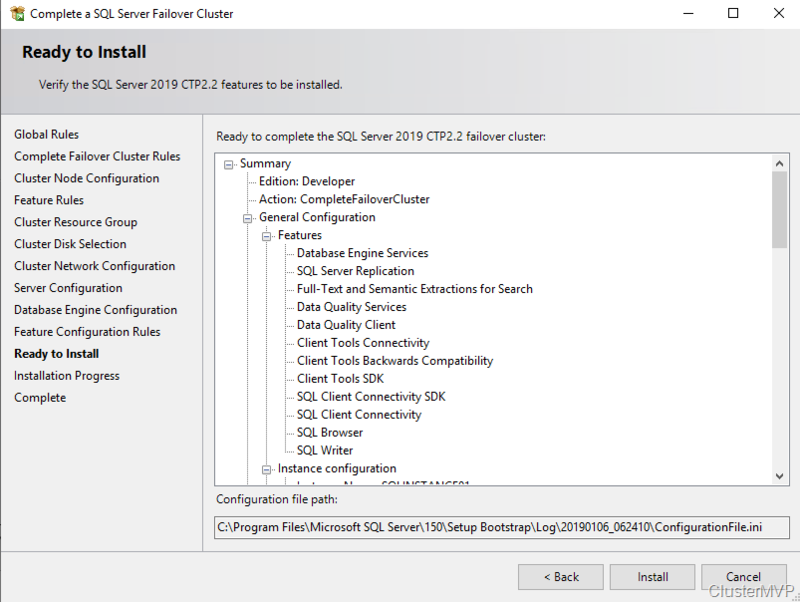 Now you have a perfect running SQL 2016 server with all the different components you can combine them in any form to deploy your server. It all depends on your need en time to deploy a server. 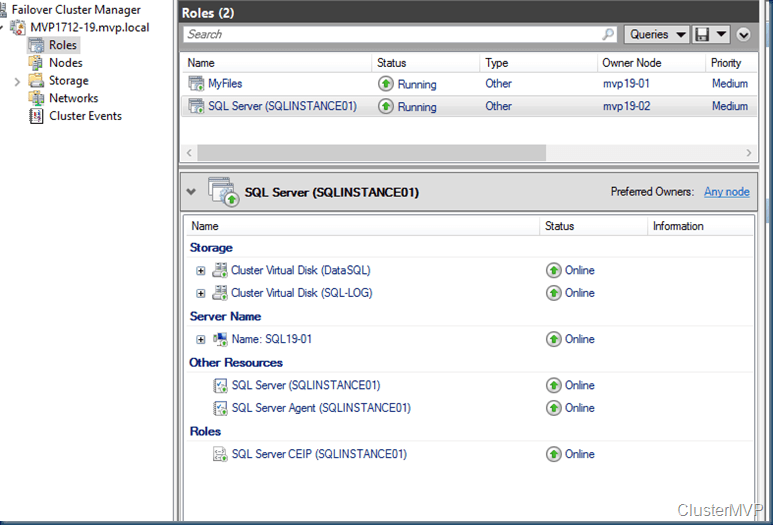 I created also a quick demo movie to see the deployment.